Focusing on the traditions of the area, the Boutique Hotel Ilio simply had to use its own selection of quality and 100% Tuscan ingredients to produce Hi Oil: Extra Virgin Olive Oil labelled Boutique Hotel Ilio. Slightly fruity and very slightly bitter and hot, it has hints of aromatic herbs, such as mint and basil, a very distant reminder of the perfumes of chicory, lettuce, artichoke and almond. It is produced according to the regulations of Tuscan Indicazione Geografica Protetta (IGP) products, together with some of the prestigious oil producers in Vignale Riotorto (Piombino) and Castagneto Carducci, Melatina (Riparbella). 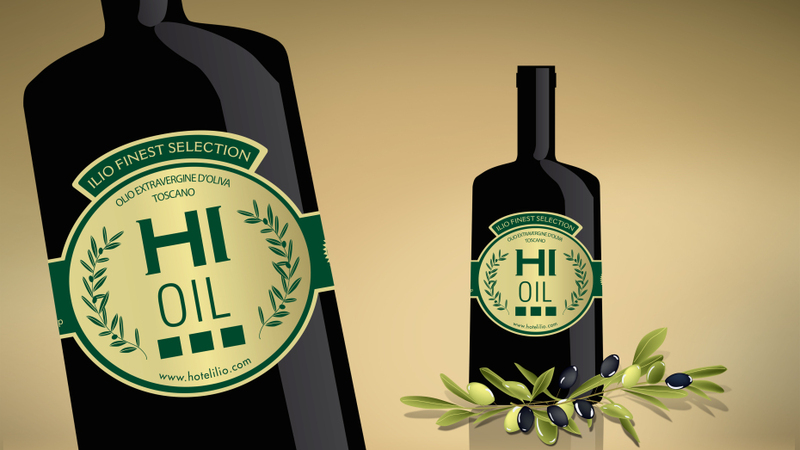 The olives are cold-pressed and the oil bottled by hand at a framing consortium in Bolgheri. It is an ideal accompaniment for more delicate flavours and is ideal drizzled over fish and vegetables to exalt their essence without covering their taste.